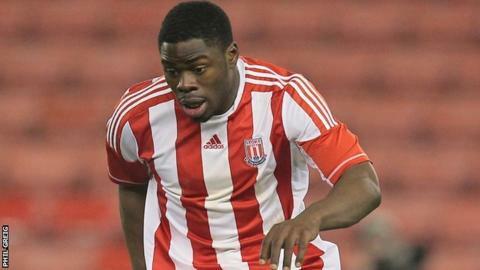 Scunthorpe United have signed Stoke City striker James Alabi on a one-month loan deal. The 18-year-old London-born player, who was previously on the books of Celtic, is yet to make his debut for the Potters. He could feature for the Iron in Saturday's home match against fellow strugglers Hartlepool. Meanwhile, full-back Callum Kennedy faces up to eight weeks out with a hamstring injury.